As the need to conserve water grows, so does the popularity of xeriscaping. With xeriscaping, you can reuse old tires in creative ways. This is in keeping with the spirit of conservation and sustainability that characterizes xeriscaping as a practice. Above all, xeriscaping is an environmentally sound landscaping method that replaces costly and water-consuming grasses with plants native to your environment. These plants require very little water compared to lawns, and they’re gorgeous. 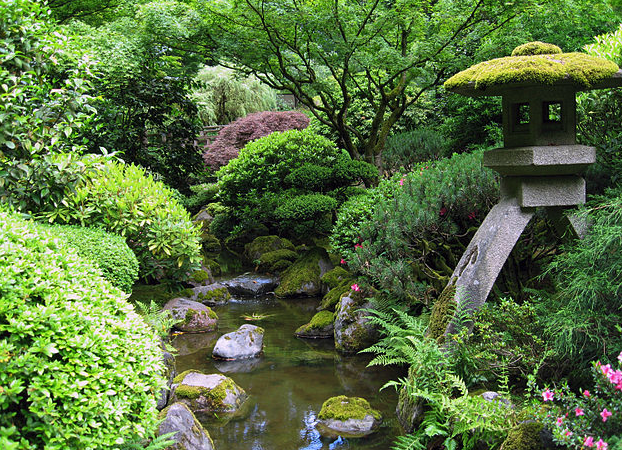 Rocks, bark, and pathways fill out the space between plants. Old tires complement the space, too. 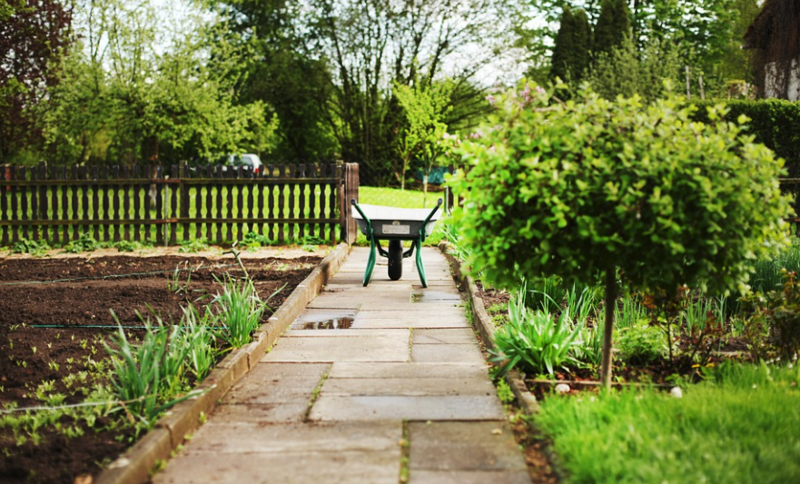 Ready to learn what it takes to xeriscape your space? You can either do it yourself or hire a professional. This mini-guide provides an overview of best practices and equipment, so you can make the decision for yourself. Xeriscaping is about coming close to nature in the same way a landscape painter imitates the appearance of a scene. Fortunately, you don’t have to be versed in specialized techniques like you do with painting. You just have to have a reasonable appreciation of your native environment. Sound like a lot to consider? Mastering natural design can be the pursuit of a lifetime. Thankfully, you’ll do well by keeping the elements of natural design as basic pointers during your xeriscaping journey. Next, you’ll want to consider tools for the job. One of the great things about xeriscaping is that power tools are optional. You may want a hedge trimmer for shrubs and a mower for grassy spaces, but other than that you can do trimming by hand. Do you have any worn-out tires in need of a home? Xeriscaping provides the perfect opportunity to reuse them. Tires inevitably wear out, and when you replace them, there’s a disposal fee. Sending tires to the recycling plant requires energy, and if they don’t get recycled, 11 percent end up in landfills. Upcycling your tires saves you the disposal fee, cuts down on energy usage, and keeps them from wasting space in landfills. 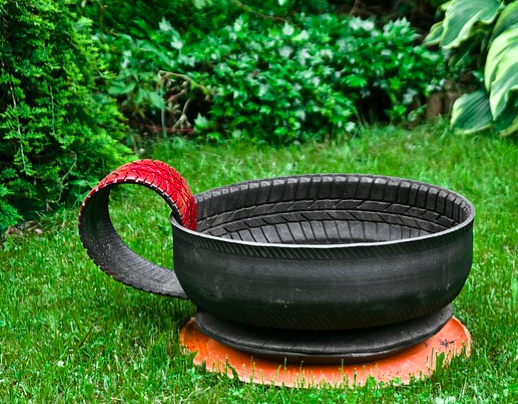 There are so many ways to upcycle tires, so use your imagination. Tires are good for xeriscaping because rubber is resilient. It can corral soil, hold up for a long time as mulch, and let water through while maintaining consistency and strength. The key to effective xeriscaping is grouping drought-resistant plants in arid zones and plants that require more water in oasis zones. In transition zones, choose plants that don’t require a ton of water but require more than arid zone plants. Follow the natural design best practices throughout. You’ll be strategically turning your space into a well-arranged garden that mimics the way plants grow in your native environment. Xeriscaped lawns are vibrant, healthy, and they conserve water, along with limiting the use of fossil fuels. That’s a win-win for you and the environment. For a step-by-step guide, check out the Wiki on xeriscaping.